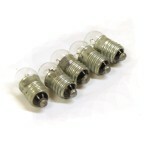 E10/E13 Bulb Base (Horizontal) Suitable for lighting your case in a vintage style - behind VU..
E10/E13 Bulb Base (Vertical) Suitable for lighting your case in a vintage style - behind VU m.. 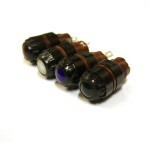 Led 3mm, common choice for indication, led VU meters projects etc. Colors: Red .. 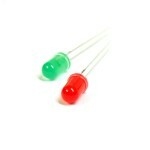 Led 3mm (Red/Green), common choice for indication (signal level (norm/overload), guitar pedal mod.. 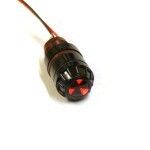 Led 5mm, common choice for indication. Price is for one pc. .. Led Holder 3mm (Metal) Led holder for 3mm leds. 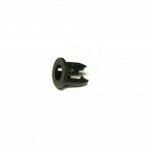 6mm mounting hole. Price is for one p.. 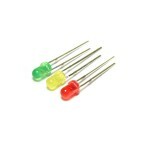 Led Holder 3mm (Plastic) Led holder for 3mm leds. Price is for one pc. .. 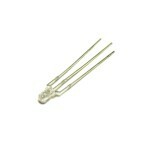 Led Holder 3mm (Plastic, silver color) Led holder for 3mm leds. 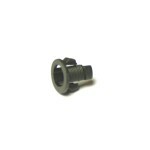 Mounting hole - 6mm, meta.. Led Holder 5mm (Metal) Led holder for 5mm leds. 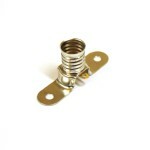 8mm mounting hole. Price is for one p.. Led Holder 5mm (Plastic) Led holder for 5mm leds. Price is for one pc. .. 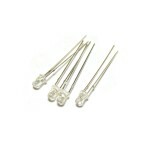 Led Holder 5mm (Plastic, silver color) Led holder for 5mm leds. 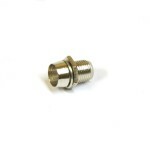 Mounting hole - 8mm, plas.. 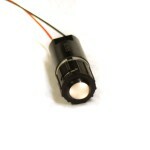 Led Ultra Bright 3mm (Color), common choice for indication, led VU meters projects etc. 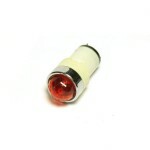 Color..
Mini Pilot Light (Red color, hole diameter - 14mm) for your DIY guitar amps or vintage style gear.. 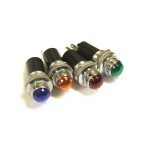 Pilot Lights for your DIY guitar amps or vintage style gear similar to Tube-Tech, Pultec and othe.. 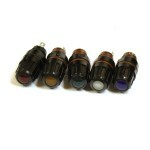 Pilot Light (NOS-FRM1, Color) for your DIY guitar amps or vintage style gear. These Pilot Lig.. 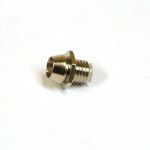 Pilot Light (NOS-FRM2, Color) Radiation Symbol for your DIY guitar amps or vintage style gear. .. 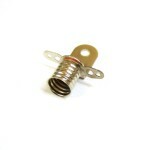 Pilot Light (NOS-FSM1, Color) for your DIY guitar amps or vintage style gear. Russian NOS, mi.. Pilot Light (NOS-SLC, White) for your DIY guitar amps or vintage style gear. Russian NOS, mil.. 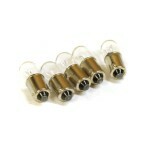 Pilot Lights Bulb (Bayonet Base) for your DIY guitar amps or vintage style gear similar to Tube-T.. 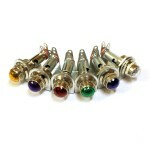 Pilot Lights Bulb (E10/E13) for Russian Pilot Lights (FRM1, FRM2 etc). 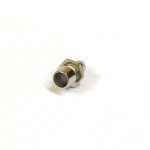 6.3V, 0.3A (can be use..